Komodo purports to serve "dangerously good food." I'll admit it's good. There's nothing dangerous about it, though. And that's what's holding it back from being great. 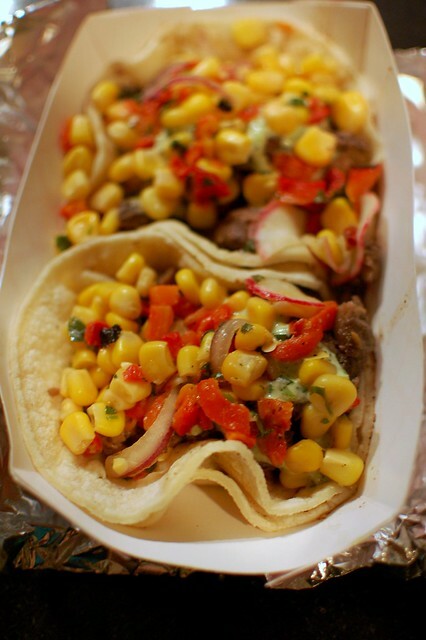 Komodo 2.0 tacos -- seared skirt steak with jalapeño aioli and southwest corn salad ($3 each). 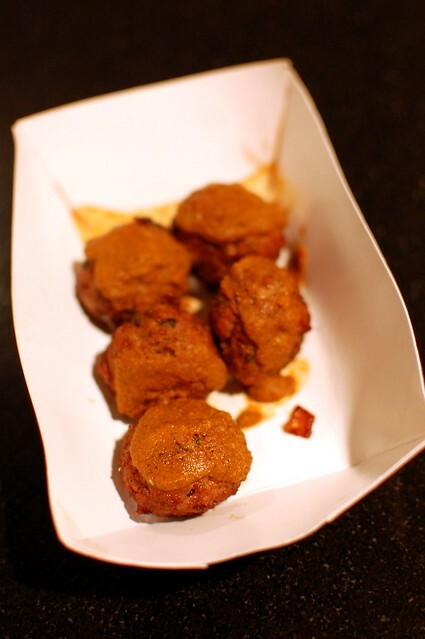 Meatballs with Romesco sauce -- pork meatballs topped with Spanish red bell pepper sauce ($5). When you say something is spicy, it should be spicy. Komodo failed in this respect. However, the food definitely has potential. If Komodo would just turn it up, it'd be quite something. Light a fire, Komodo. Unleash the dragon. Yum! 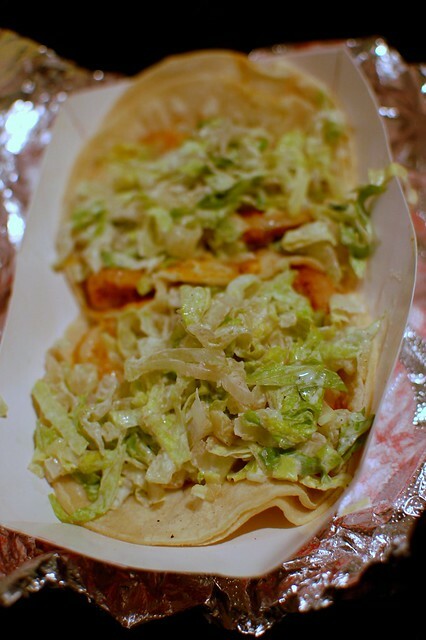 Those look like some pretty tasty tacos! 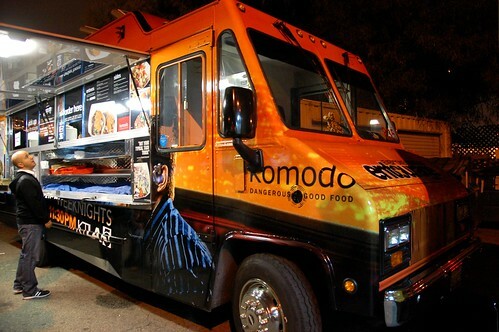 As food trucks go, I think Komodo is one of the better ones.